Even 200 miles from the path of totality, the solar eclipse was all anyone could talk about this week in Washington. In the mad scramble for special viewing glasses and the endless debates over whether it was worth it to brave the slog of traffic heading south, I found myself in my office’s parking lot at 10:00am on the auspicious date of August 21, 2017. For the first time since 1918, a total solar eclipse would be visible across the entire lower 48. In Tacoma, it was calculated that we would see 94% of a total eclipse. The moment had arrived. 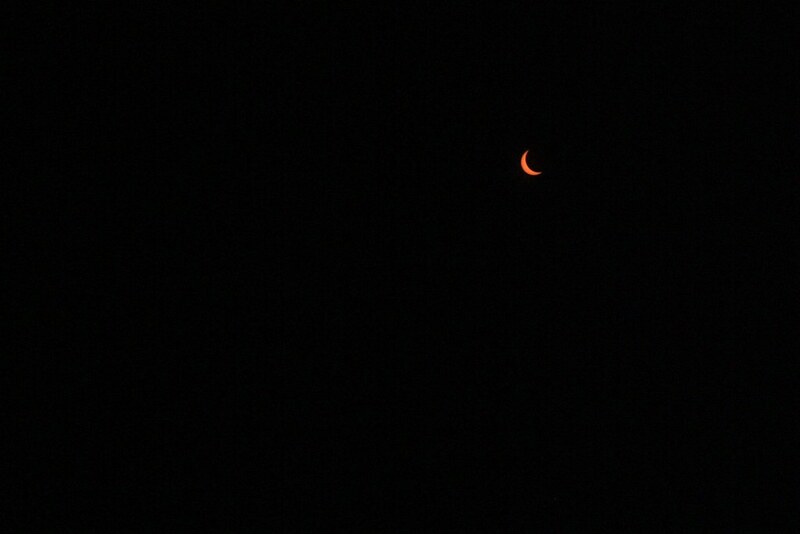 I’m not the kind of person who can not take a photo of a major celestial event, so I had my trusty Canon with me. Even with 6% of the Sun visible behind the disk of the Moon, pointing a camera straight into the sky for any length of time is a sure way to melt your sensor. Sunlight carries a lot of energy and camera lenses are designed to focus light into a tiny area — exactly the way a magnifying glass cooks ants. I wasn’t taking any chances. 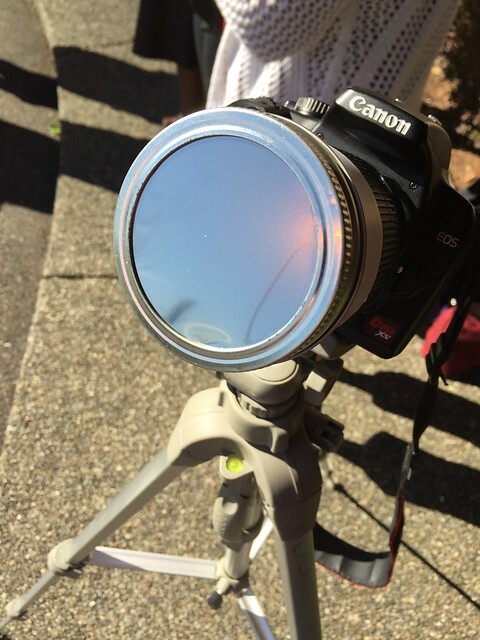 A few weeks before the event, I ordered a 4-inch-by-4-inch sheet of mylar solar viewing film and built a homemade lens adapter using the ring from a mason jar lid (my wife’s brilliant idea) and cardboard from the envelope the film came in. We were also lucky to snag a few pairs of what felt like the last remaining eclipse glasses on earth. 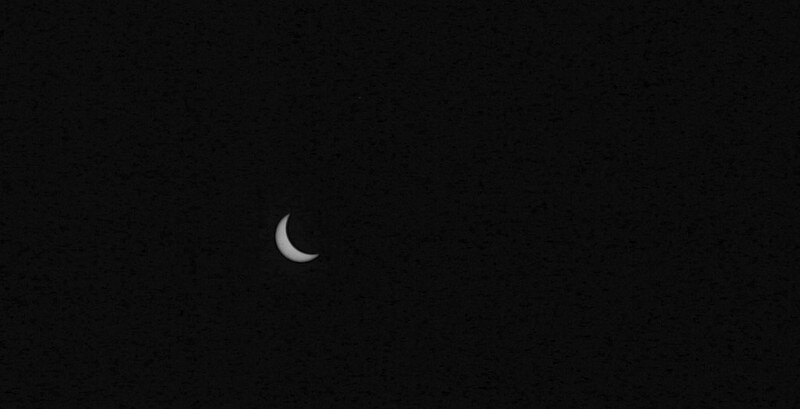 That morning, as I stepped outside, nothing felt abnormal, although a quick peek through my glasses showed that the Moon was already starting to cross in front of the Sun. I my tripod setup. Unfortunately but not surprisingly, autofocus doesn’t work on an object 93 million miles away, so I had to focus manually. I couldn’t look through the viewfinder at the Sun, even with the filter on the front of the lens, so instead I set my focus on some wispy clouds on the horizon — as close to infinity as I could get without burning my retinas. Then, it was just a matter of aiming the camera up and clicking the shutter. At this point, my coworkers started filtering out to see the spectacle. 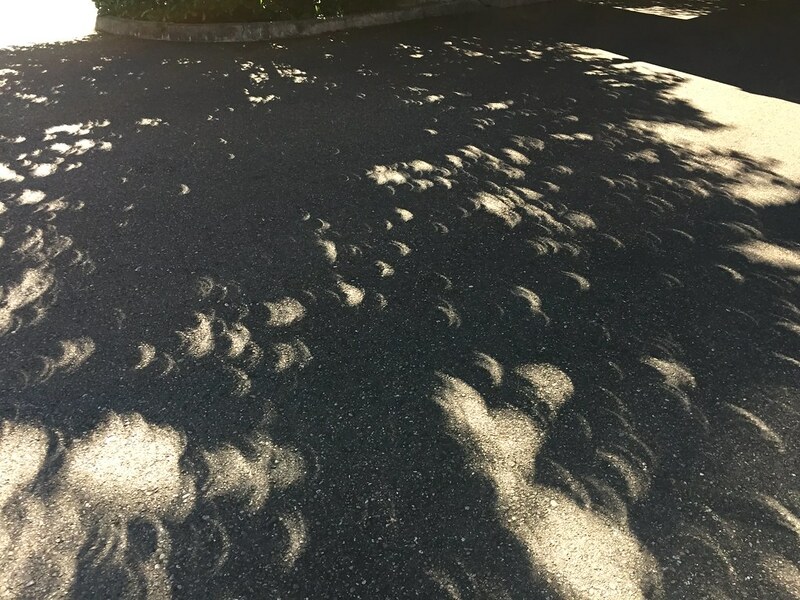 We chatted and passed around a handful of glasses so everyone could see the Sun disappearing behind the Moon and watched the leaves cast tiny crescents onto the pavement. As the Sun was consumed, the light changed. The sky took on an early shade of grey-blue, like the color just before dawn. The temperature dropped by at least five degrees. A steady breeze picked up, as if a storm were approaching — but without a cloud in the sky. I looked up through my viewing glasses. 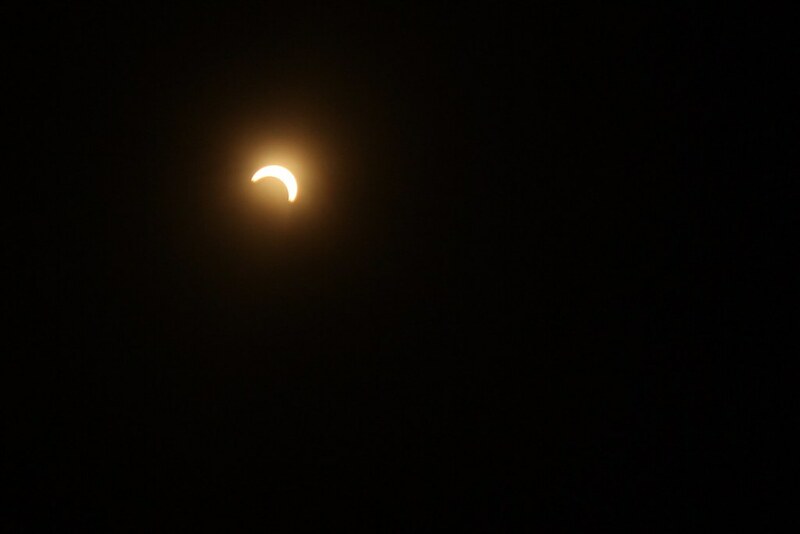 At maximum, the partial eclipse so so close to totality that I almost lost the sun in the vast, inky blackness above me. In a moment, the massive star at the center of our solar system was nearly invisible. An optical illusion left nothing behind except a thin, blood red sliver. I felt so small in that moment. For two minutes and forty seconds, I was a microscopic being on a tiny rock orbiting a small star in an unremarkable corner of an average galaxy in a sea of galaxies. Our triumphs and failures, our progress, our regress, our wars; they’re fleeting and inconsequential in that vastness. The size and scope of the universe hit me harder than I had expected and it was stupendous. Somehow, in all of that, I managed to keep clicking the shutter button. Gradually, the sun returned. The shadows softened, the sky went back to blue, and I felt warm light on my skin again. One by one, my coworkers went back inside. I lingered. For a while, I didn’t even take any pictures. I just looked up and watched the slow, predictable movement of the Sun and Moon above and tried to grasp the intensely surreal feeling of standing under an (almost) total eclipse of the sun for as long as I could. I’m still a little sad I didn’t pick up and head to Oregon to view totality, but I’m grateful I had the chance to view it at all (the weather in the Pacific Northwest, the cloudiest place in the United States, was perfect). A partial eclipse is amazing, but from what I’ve heard and seen online, totality is on a completely different level. Photographic the moment was a fun challenge, too, and something I’d like to try again. So, I find myself addicted to eclipses and researching where the next ones will pop up and wondering if I might be there to experience them. July 2, 2019 in Argentina? December 4, 2021 amidst the penguins in Antarctica? April 8, 2024 in Pennsylvania? Who knows? Jonny Eberle is a writer, photographer, and filmmaker in Tacoma, WA and a bit of an eclipse junkie. He usually forgets to bracket and ends up with a whole bunch of identically exposed photos as a result. Remember to bracket, kids. When I was in high school, we read Night by Elie Wiesel, a semi-autobiographical account of the Wiesel’s experience in a Nazi concentration camp during World War II. In one scene, a child is hanged and someone asks where God is amid the horror. Someone else responds, “Where He is? This is where–hanging here from this gallows…” I remember putting the book down for a few minutes before continuing. In that moment, I thought I understood the Holocaust. But I did not truly understand the scale of the genocide that was committed by the Nazis until I visited Dachau. The first thing you notice when you arrive at the concentration camp at Dachau is how close it is to everything. Less than half an hour away from the center of Munich’s bustling metropolis by train, the infamous Nazi concentration camp sits on the edge of the small town of Dachau. I had expected a site of mass incarceration and slaughter to be somewhere remote, not in the heart of an idyllic Bavarian village. 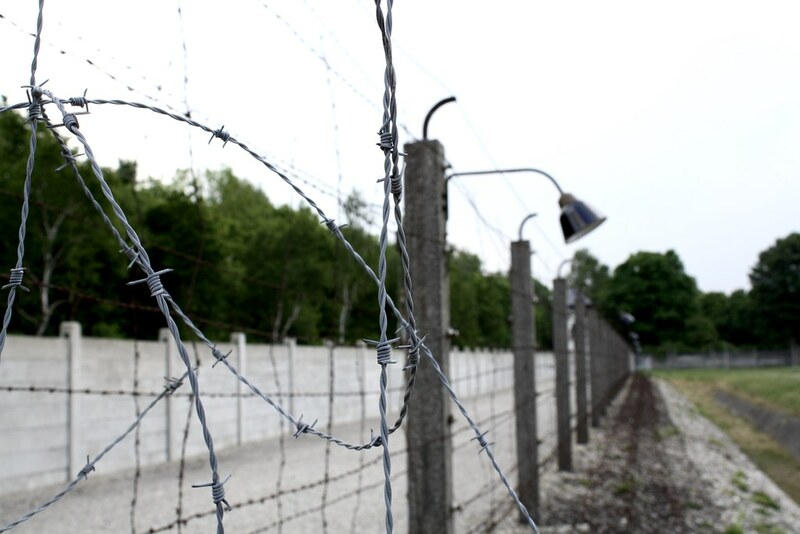 This thought — of how easy it is for atrocities to be committed when people are willing to look the other way — felt like a weight on my shoulders as the bus navigated the winding residential streets to the entrance of KZ Dachau. Stepping through the infamous wrought iron gate emblazoned with the words Arbeit Macht Frei (Work makes you free), the crowd of tourists dispersed. In a moment, we were virtually alone on the camp’s roll call grounds, where prisoners were made to stand for hours on end each day in every kind of weather. 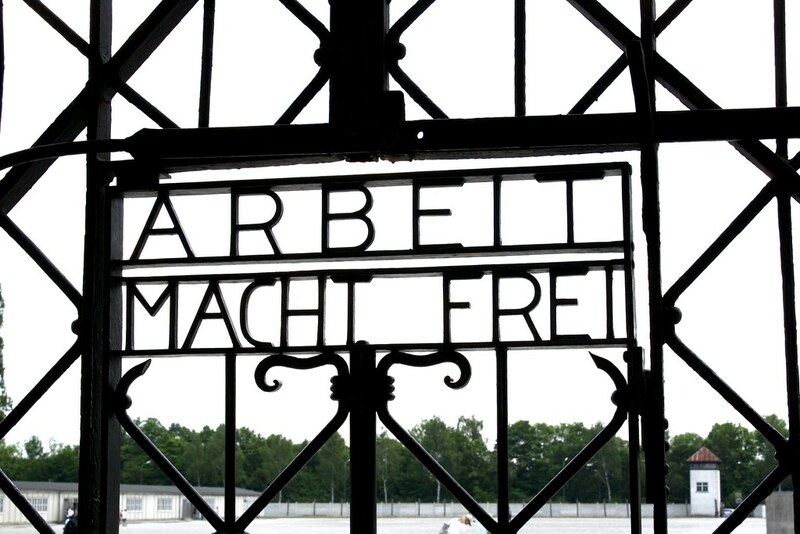 Dachau was built in 1933 to house 6,000 political prisoners. Over time, more and more prisoners were crammed in — including Jews, Roma and LGBTQ prisoners. By 1945, it held 31,000 people in inhuman conditions. Tens of thousands were killed here, as evidenced by accounts from survivors as well as the cold, meticulous records kept by the Nazis. Here, at Dachau, systematic dehumanization and mass murder was perfected and exported to camps across the Third Reich. For a few years in school, it seemed that every book that was assigned in English class was about the Holocaust. I remember thinking it was excessive to keep forcing us to read about a tragedy that unfolded decades before I was born. What was the point of rehashing the past? 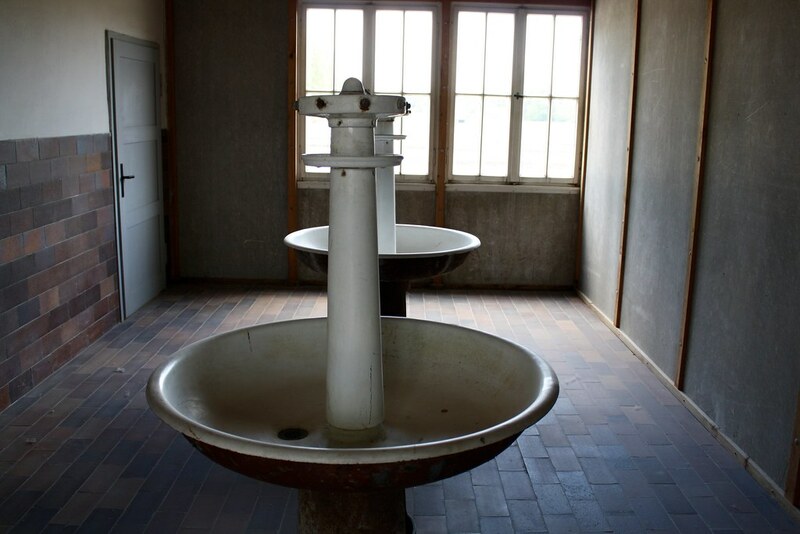 Years later, as I stood in a reconstructed barrack and looked at two sinks that were once shared by 2,000 malnourished, I felt, tangibly, the humanity of the people who suffered here and understood why we must never forget what happened here, why we have to keep learning about it and why we have to remain vigilant to prevent such an atrocity from happening again in our lifetime. 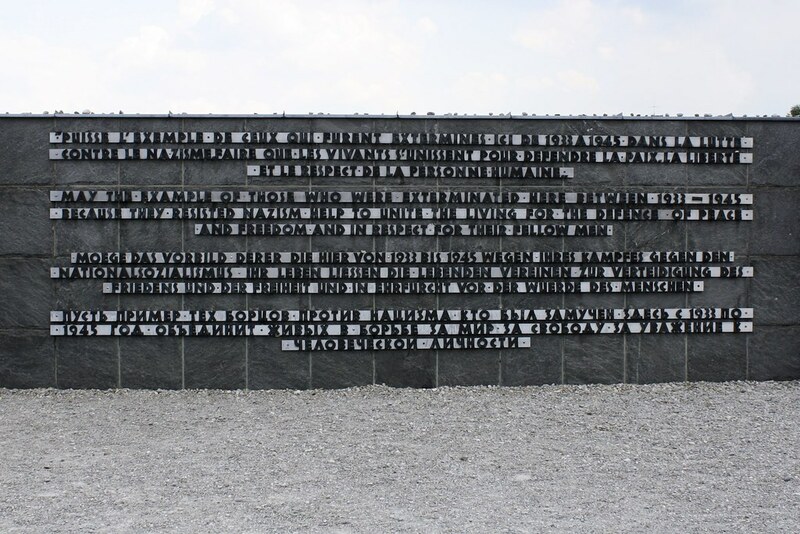 Near the entrance of the camp, there is a large monument affirming — along with the Christian and Jewish sites dedicated to the memory of those who died — a commitment to learn the lessons of the Holocaust and pass them on. Like a modern-day Rosetta Stone, it’s written in four languages (French, English, German, and Russian) and reads: “May the example of those who were exterminated here between 1933-1945 because they resisted Nazism help to unite the living for the defense of peace and freedom and in respect for their fellow men.” It’s a reminder that is as important today as it was the day this camp was liberated and I hope it will always serve as a potent reminder of the dangers of demonizing those who are different than us. How to Get There: 25 minutes by S-Bahn from Munich, then about 10 minutes by bus from the train station to the entrance of the camp. What To See: The museum housed in the camp’s maintenance building, the reconstructed barracks, and the Jewish and Christian memorials. Give yourself plenty of time. Jonny Eberle is a writer, photographer, and global traveler based in Tacoma, WA. This is the third in a three-part travel series about a recent trip he and his wife took to Europe. Previously: Munich and the Isle of Iona. Follow him on Twitter or subscribe to the monthly email newsletter to receive exclusive content, reading suggestions, and zero spam. 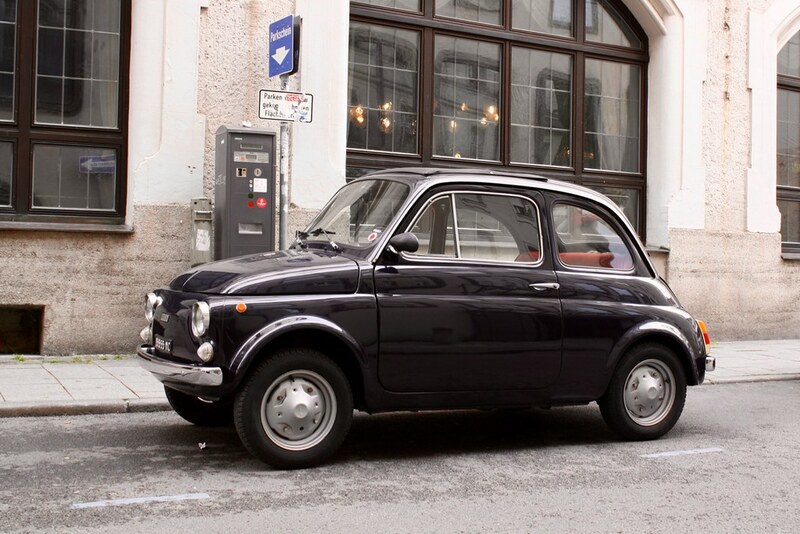 There’s nothing like summer in Munich — somewhat due to the heat and partly to humidity, but mostly to the Bavarian charm of one of Europe’s great cities and the rest to the laid back, almost Mediterranean atmosphere that has led some to jokingly dub it Italy’s northernmost city. Personally, I think it’s the ice cream and bicycles. We arrived in Germany for a whirlwind weekend at the beginning of June. Having just arrived from Scotland, we were not dressed for the sweltering weather. Luckily, Germans don’t mess around when it comes to ice cream. Ice cream is to Munich what Starbucks is to Seattle. My wife had a German exchange student in high school who now lives in the city and he was able to score us a guestroom at a university dormitory located in the central Maxvorstadt district. He and his girlfriend were also kind enough to show us around the city and get us (a little bit) off the beaten path. In many ways, Munich is two cities occupying the same place. It is a city firmly rooted in its past, first as a 12th century monastery and village and later as the capital of the Kingdom of Bavaria. It is also a city moving unrelentingly toward the future as a center of arts and industry in Europe (Munich is the home of BMW, a plethora of universities, and several world-class museums). Indeed, Munich has a long history of reinventing itself with the times. Apud Munichen (literally “near the monks”) was originally founded by Henry the Lion as a way to take advantage of the lucrative medieval salt trade. In the early-19th century, it restyled itself as an imperial showcase and embarked on a massive construction boom. After WWI, Munich became a hotbed for communism and provided the backdrop for the growth of the nascent Nazi Party. Following heavy bombing in WWII, Munich rebuilt the historic city center and became a destination for refugees and immigrants in post-war Europe. Today, 38% of the population is foreign-born, making Munich a cosmopolitan crossroads of cultures from around the world. We were able to find pretty good Korean food in addition to Bavarian classics like Schweinshaxe (pork knuckle) and Klos (potato dumplings). We even found an American store in Rotkreuzplatz (which, as expected, sold primarily barbecue sauce and scented candles). 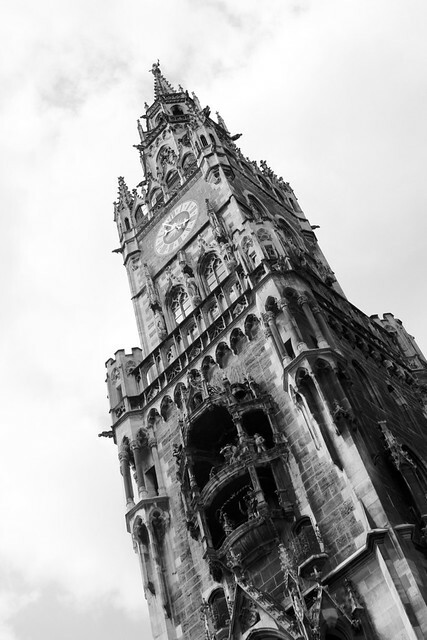 True to their city’s international identity, the residents of Munich are generally bilingual (or trilingual or quadrilingual), which made practicing our German difficult, as even a second’s hesitation signals to everyone that they should seamlessly switch to speaking English. 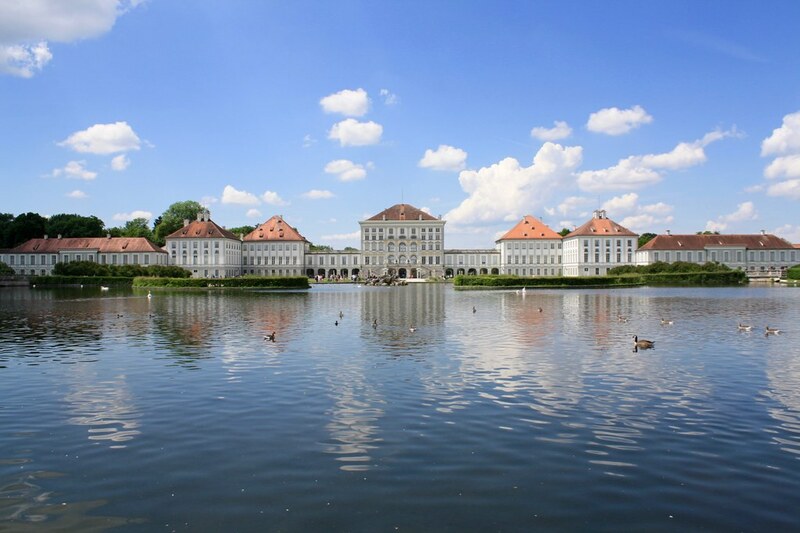 Our tour of Munich took us to Nymphenburg, one of the continent’s largest royal residences, which features both a stunning baroque palace and 490-acres of forests and lakes which are now open to the public. 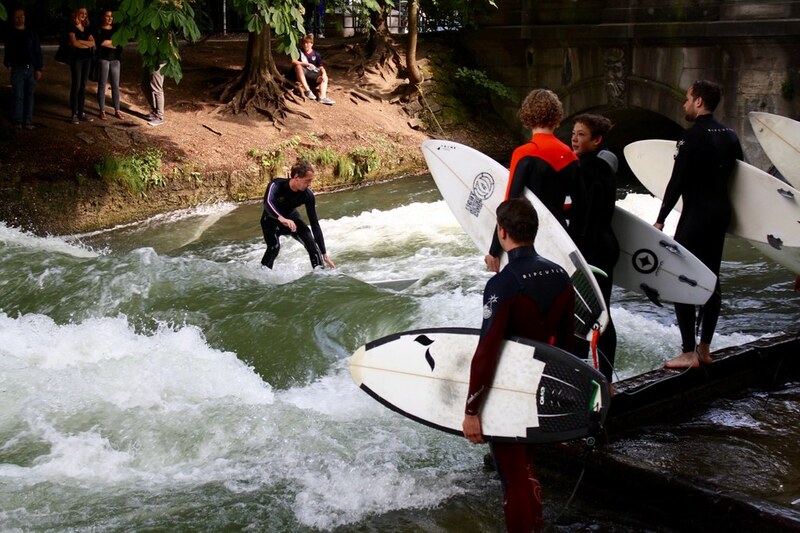 We also spent a warm afternoon wandering through the Englischer Garten, Munich’s version of Central Park (albeit larger), where we enjoyed the truly bizarre sight of people surfing a river in the middle of a city park. 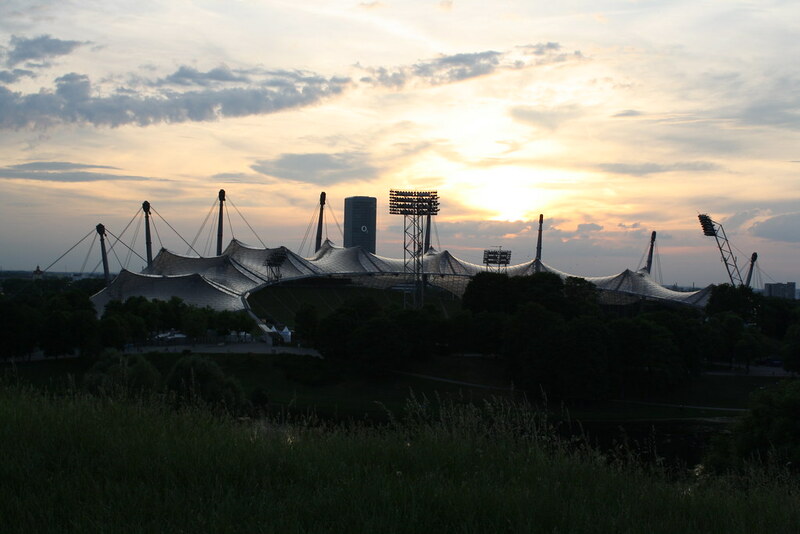 We finished our trip to Munich with a walk around the site of the 1972 Summer Olympics, where we enjoyed part of a free outdoor concert and then watched the sun set over the Olympic Stadium. 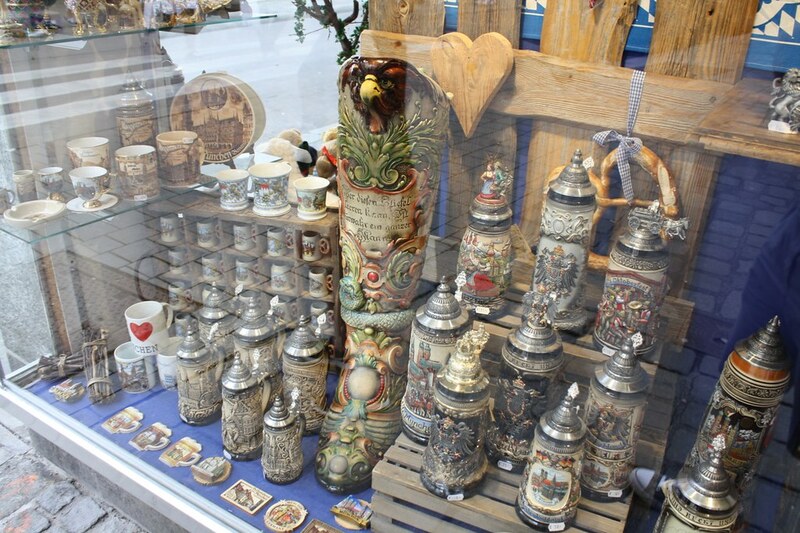 In total, we were in Munich for just two-and-a-half days. We will certainly be back for more ice cream in this wonderful city of contradictions. How to Get There: Easily accessible by S-Bahn from Franz Josef Strauss International Airport in about 40 minutes. Germany’s public transportation system is so good, it’s practically science fiction. You have to really want to get to the Isle of Iona. A speck of land 3 miles long by 1.5 miles wide off the western coast of Scotland, Iona is remote. To get there from Glasgow requires traveling three-hours by train, one hour by ferry, one hour by bus, and fifteen minutes by ferry (yes, two ferries). But once you’re there, you can feel that the roots of the island run deep. Iona was settled in the 6th century by St. Columba, who sailed there from his native Ireland with his followers to found a new monastic community. For centuries, the community flourished far from the authority of Rome, where it blended Christian and Celtic belief. Today, the island has a little over a hundred permanent inhabitants, not counting sheep and shaggy Highland cows. But there is more here than meets the eye. On Iona, the ancientness emanates from every stone. The island has long been a magnet for pilgrims. It has a reputation as a “thin place” where the veil between the physical and the ethereal is especially thin. You can feel it in the 13th century abbey church, where ferns grow in cracks between medieval stones. You can feel it on the hike along the ancient pilgrimage route from the abbey to the rocky shores of St. Columba’s Bay. You can feel it while walking on the windswept beaches or at the foot of a cross with enigmatic carving eroded away by rain and salt. Iona’s status as a sacred isle is well-deserved. There is something here. Like most ancient sites I’ve visited, I felt a sense of the many layers of stories that have played out on this small Hebridean isle. It’s evident when looking at the Gaelic place names, which translate into intriguing snippets of lore — places with names like Height of the Storm, Port of the False Man, and Fort of the Ruins. Each one a folk tale in miniature. Beyond the history and the natural beauty, Iona is a place that encourages weary pilgrims to rest and re-center. Whether it’s a solitary walk down one of the island’s two roads or enjoying a local scotch with friends at Martyr’s Bay, it’s one of the few unspoiled places just beyond the reach of the world and all its turmoil. There is peace here. There is room for reflection. And there is comfort in its stability. Iona has survived the rise and fall of empires for one-and-half thousand years. Iona reminds me that our lives are fleeting and our individual mark upon the world is small and quickly forgotten, but there are places — distant specks of land in the sea — where time moves slowly. Such places will be there long after we are gone; our triumphs and mistakes nothing more than dust. That is a good thing to remember when we get caught up in the crises of the moment. Iona is a remarkable island, not just for its history and beauty, but also for its ability to cling to you. As the small passenger ferry steamed away from the dock and headed back to the Isle of Mull, I couldn’t help but feel as if a small voice was whispering to me, telling me that someday, I would return. Jonny Eberle is a writer and photographer in Tacoma, WA. This is the first in a three-part travel series about a recent trip he and his wife took to Europe. Next up: Munich and Dachau.